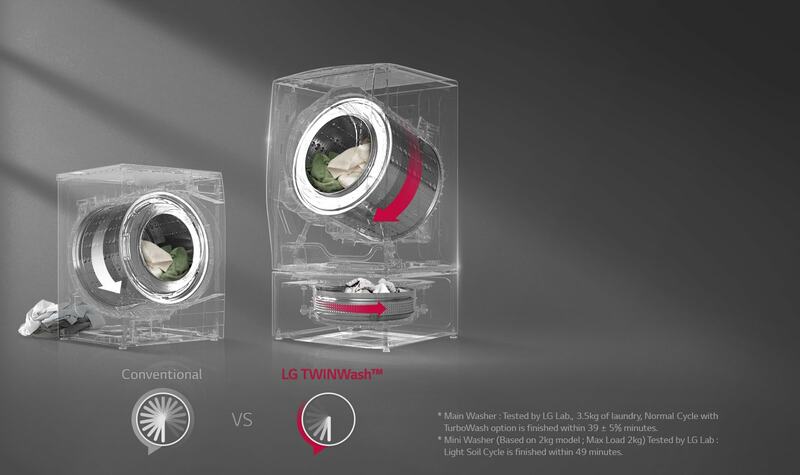 SKU: F2721HTWV. 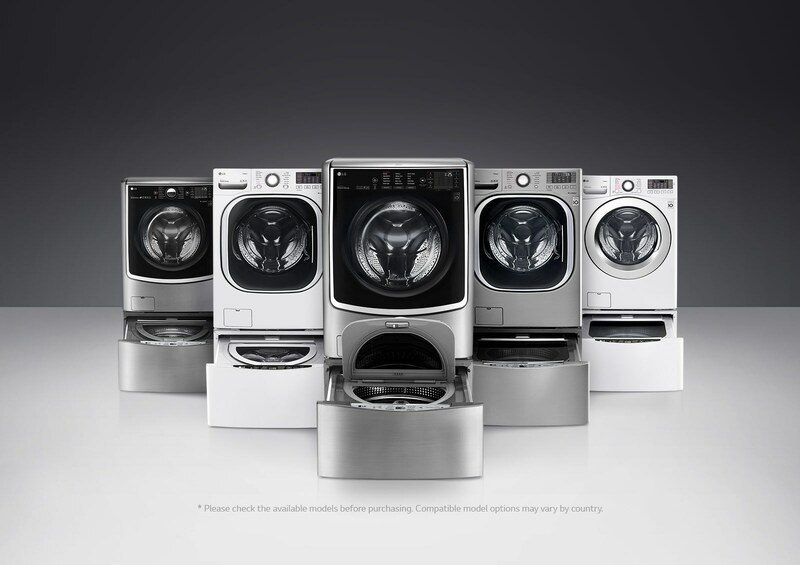 Category: Washer & Dryer. 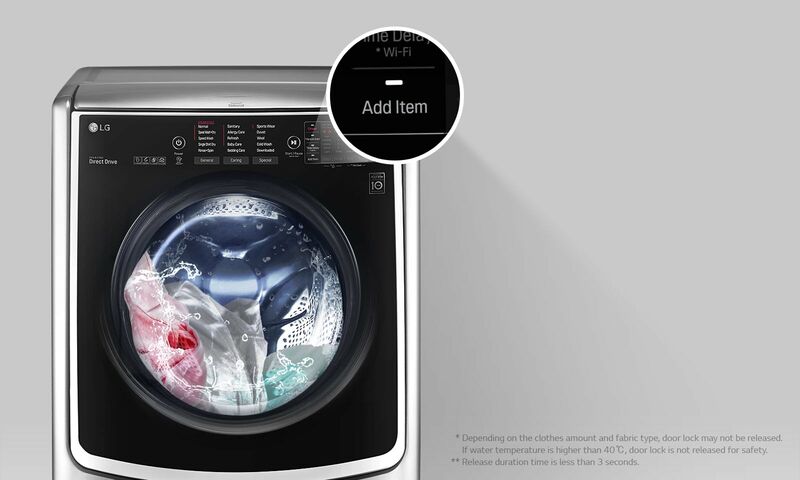 If you miss to put laundry during washing, just press “Hold to Start” and add any laundry from small socks to big jacket. 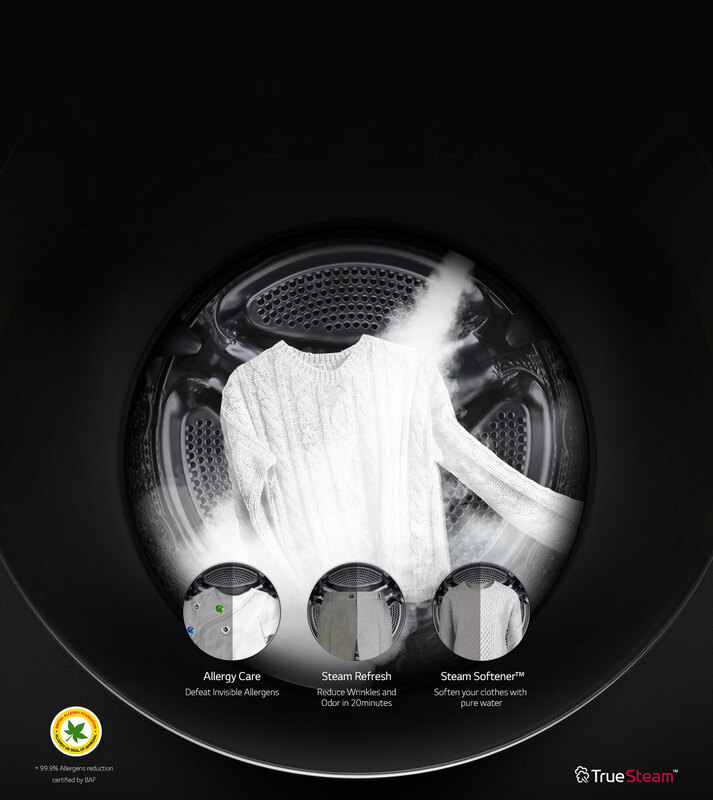 Whichever washing cycle you selected, door can be opened* immediately(about 3 sec)** during washing. 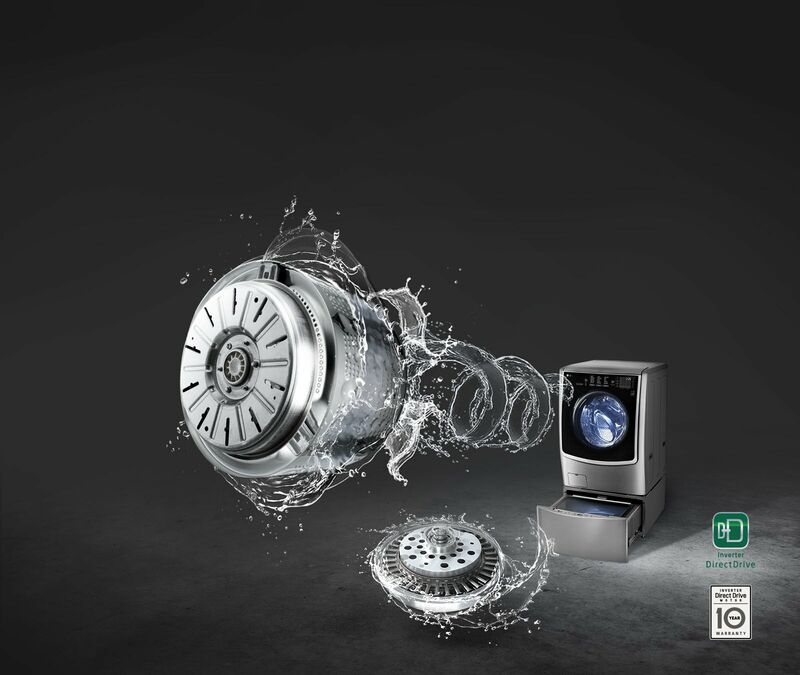 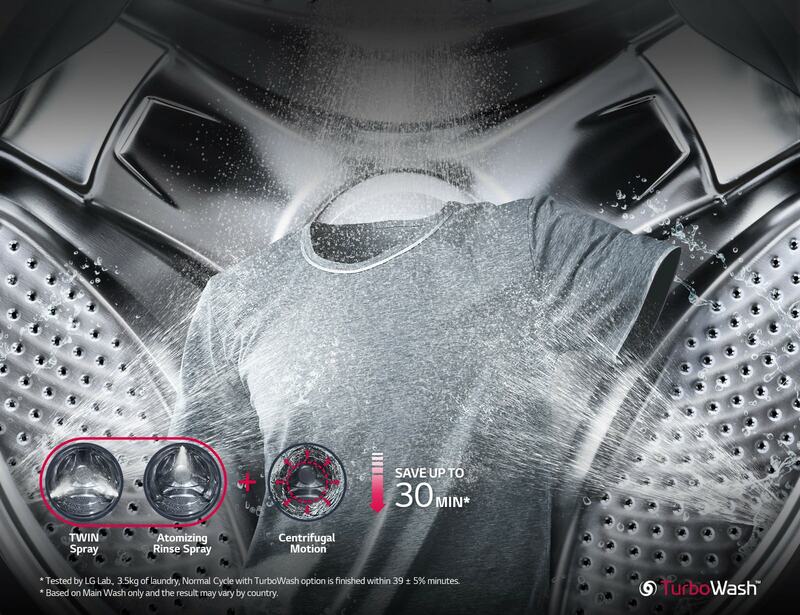 TurboWash’s combination of quick soaking water spray and filtration motion means washing time can be reduced to just 49 minutes, but with an improved powerful wash performance. 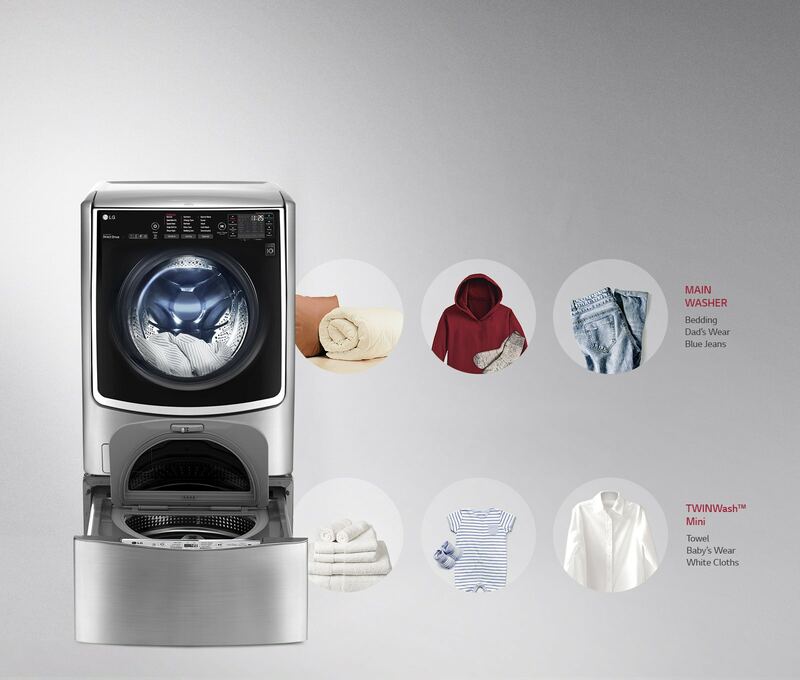 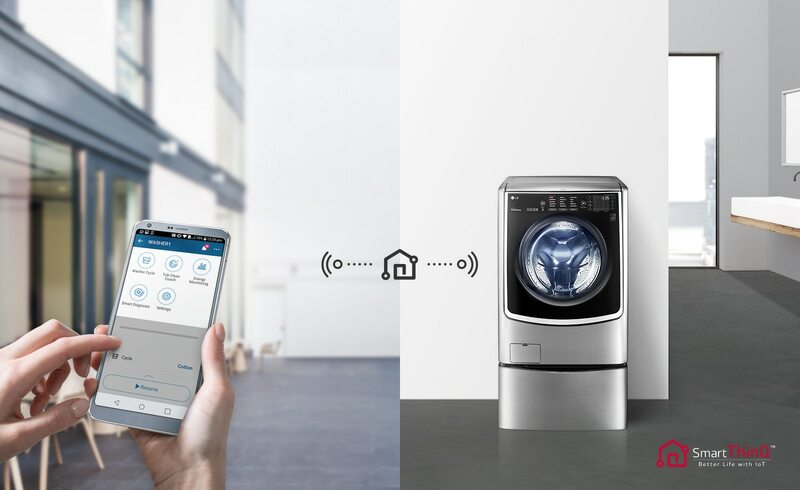 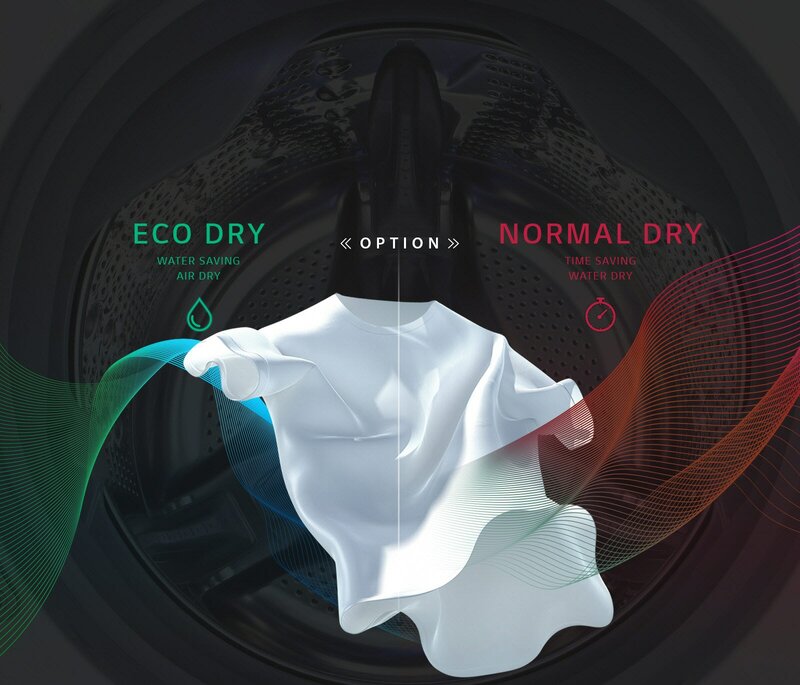 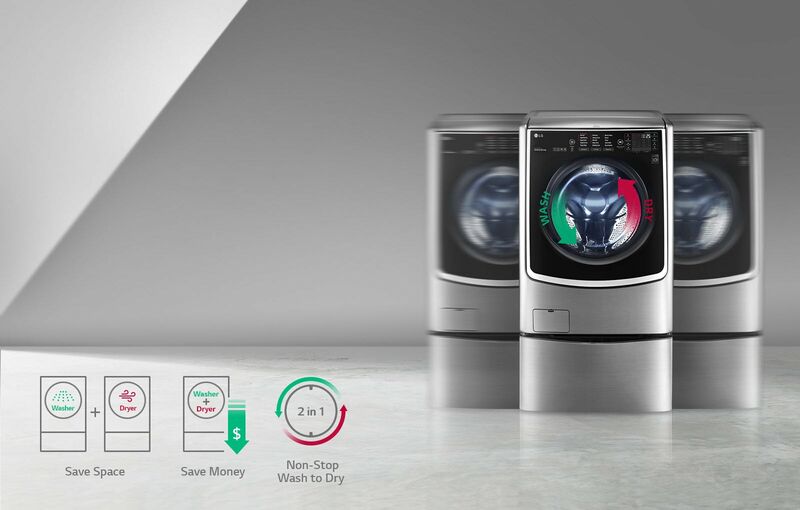 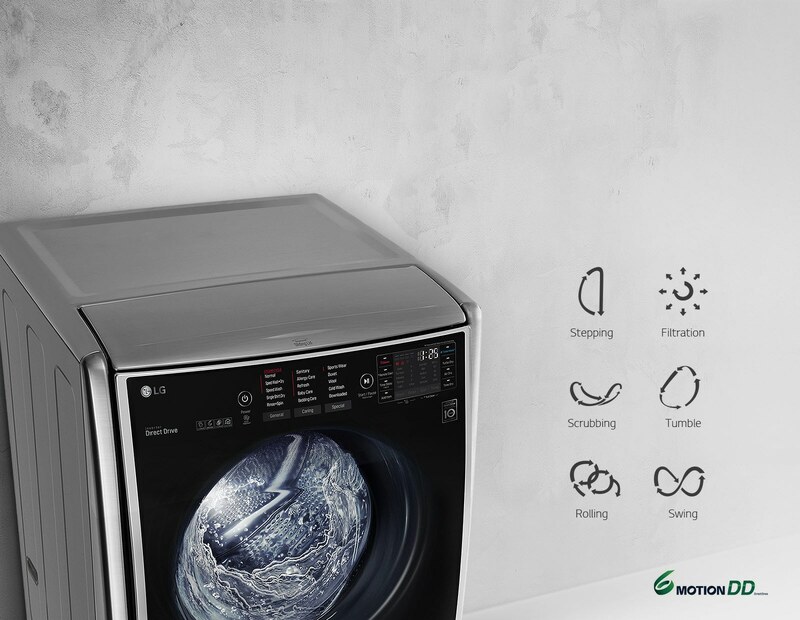 LG’s all-in-one washer and dryer is another of our leading appliance technologies. 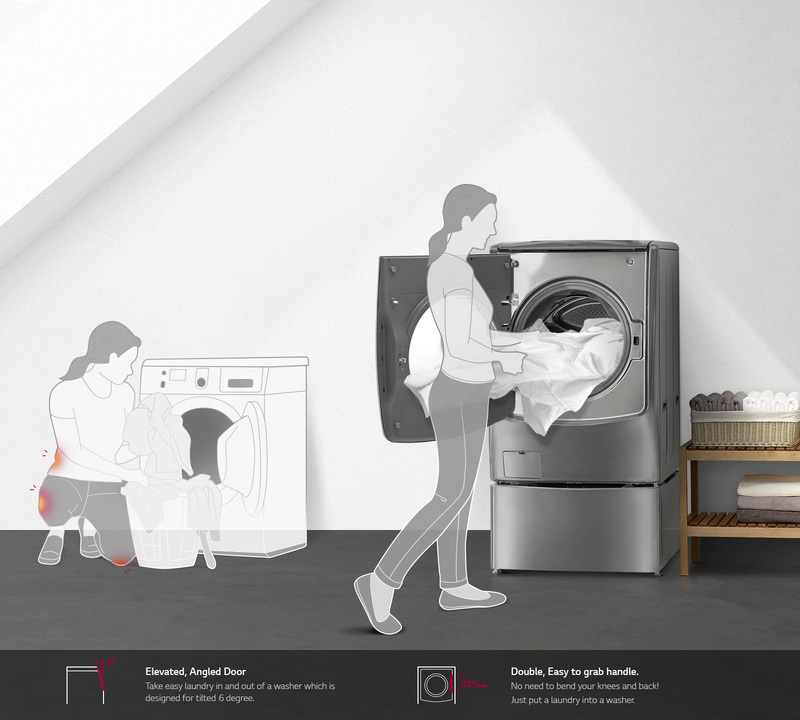 Save space in your home and make more room for your family.